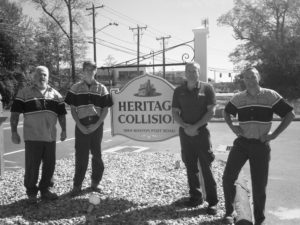 We are proud to launch a new website for my buddy Chris from Heritage Collision in Guilford CT. Unfortunately, I am familiar with Chris’s work as he repaired the auto collision from my skid out on the highway five winters ago. If your car needs collision work and you are located on the CT shoreline I highly recommend going to his shop. Heritage Collision is located at 1984 Boston Post Road in Guilford. Tell Chris, Andrew sent you.